I, like most other bar patrons around the world, enjoy a nice pint of Guinness every once in a while. 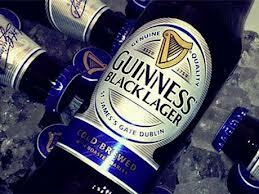 Yet the Irish company has now come out with a new product known as Guinness Black Lager. I have never tasted this beer but I am already not a fan of it due to the advertising plan the brewery has decided to employ. The commercial entitled “Seamless” focuses on a young adult male who seems to be living a sophisticated lifestyle. I do not have any problems with this setting or the character itself but the dialogue used in order to promote the drink. When questioned “how can Guinness Black Lager be black and refreshing,” the actor chooses only to focus on other products to prove his point. The first example brought up is iced coffee and the main character states “iced coffee is black and has a delicious roasted flavor and delicious taste.” The second example used is cola and it is “also delicious and refreshing.” Using the attribution theory, the company is trying to persuade consumers that since these two other drinks are black and refreshing then their beer must be as well. Personally I think this is a cop-out from the company as it trying to compare itself to other drinks, so their product has to be the same. Black is also a color used to portray a cool and mysterious tone, which is why I believe the company chose to name its newest product a black lager. Black has this coolness due to symbolic interactionism, where people assign behaviors on the basis of meanings they assign to them. This is clearly portrayed in the commercial itself as the main character (as previously mentioned) is presented as a high-class bachelor. Thanks to this commercial, I will not try this beverage unless it is out of sheer necessity or desperation. Entitled “Seamless” this campaign seems spineless as they try to gain credibility through other examples. Trust yourself and not the work of others, you’re Guinness Brewing Company.